For the website of The United States Chess Federation Jonathan Hilton wrote a report of the whole week with some little photo impressions. 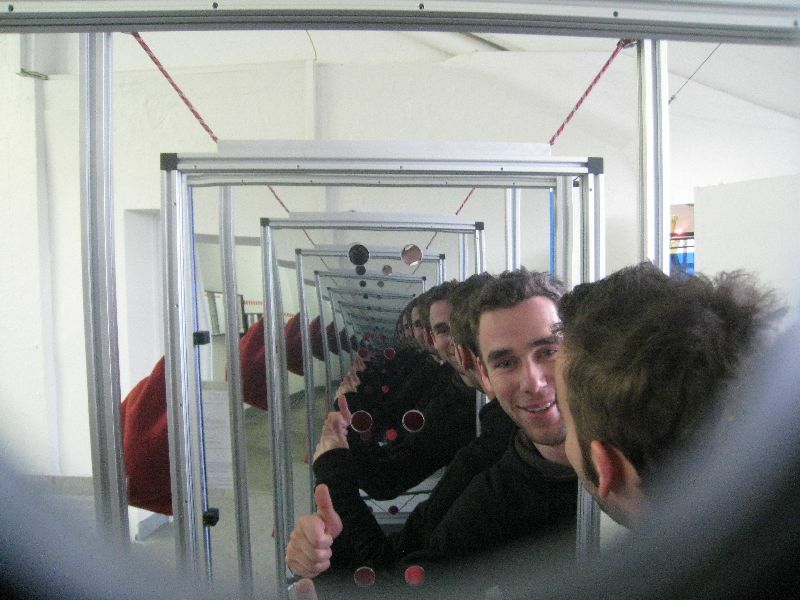 It lets you see the Camp in the real view of a participant with all its good and bad things, with the new experiences. Especially there are told those little stories, which made the International Youth Camp unforgettable. For the Internet Chess Club ICC he also wrote down some lines from his most spectacular moments when he had taken part in a press conference with the world's best players. Today's main activity was a chess tournament. In teams of four people we had to fight in different kinds of chess: Bughouse, Blitz and Suicide-Chess. Because of those different disciplines the strength disparity did not matter. Although we also had the possibitlity to play a blitz tournament in the afternoon and could visit the Chess Olympiad, it was not chess, which played the most important role of the day - it was the knowledge to leave the others tomorrow. 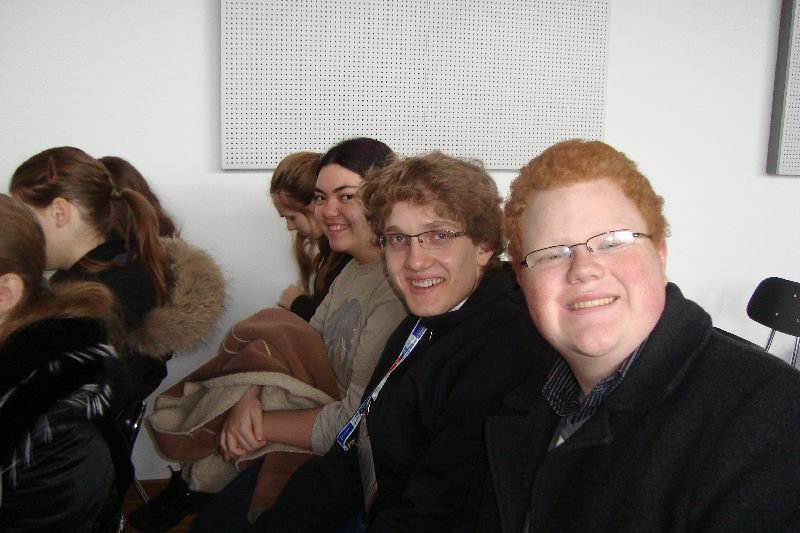 On Thursday we visited some museums. In group we had the choice of different museums in Dresden like the Museum of Hygiene, the Museum of Technology and Industry, and the Museum of the Royal Palace. It was not as boring as it sounds! 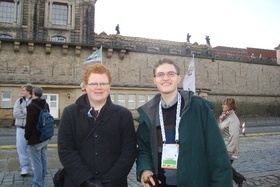 Later we had the chance to go to the Congress Centre where we could see nearly all of the world's best chess players. In the evening we played many different games together in the Sky Lounge. Because it was raining the whole day, all of us where together in the last hours of this day. The day started very unhurriedly but a little bit different than the others. After the normal meeting in the morning all participants had to sing their songs they have written on Monday. But not only singing together was the task! Because of making a film, every group has to perform a good show. It was very funny and of course amusingly. Later we had the possibilities to go to the Chess Olympiad or to do some sports. Being together in the evening most of us decided to go to the Frauenkirche, abig churche in Dresden. It was a varied day with highlights for everyone! Our trip to Berlin started early in the morning. Despite of the rainy weather we could get an overview of the capital of Germany. We made a city-guide-tour through Berlin where we could see all important sights. The sightseeing-tour ended up at the restaurant "12 Apostel" where we ate pizza and pasta. In the evening we got also some freetime for shopping. Jonathan Hilton, participant of the International Youth Camp lets the US chess players know what happens in Dresden. In his own blog on the website of the US Chess Federation he writes down his experiences in the International Youth Camp. So, take a look on his blog! Work in groups! - This was the order of the day. Without communication, ignoring the different mother languages and cultures, nobody had the chance to understand the school lessons in which the participants took part in - because they were in German of course! So everone had to ask the others, especially in the afternoon, when the city ralley in Dresden began. In four hours, in different groups, the young people had to solve some puzzles and find the shown buildings. 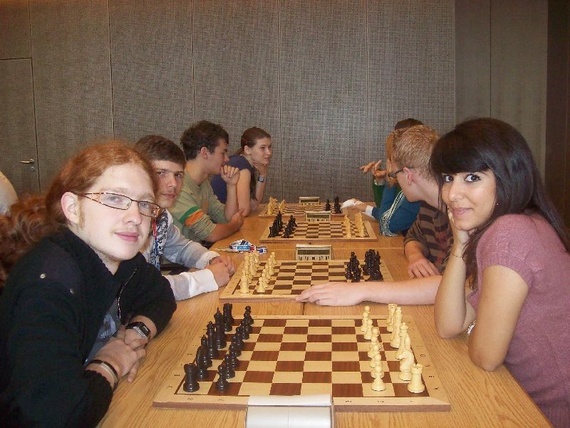 After this long marathon, the group visited the Chess Olympiad and could see their heros. After the exhausting travel on saturday we spent our first day on a boattrip on the river Elbe. There we could see a little bit from the landscape of Dresden with its beautiful castles at the waterside. The last stop was the castle of Pillnitz where the boat turned around back to the centre of Dresden. 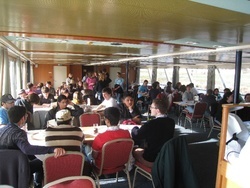 In the afternoon the participants got to know each other in four different workshops. 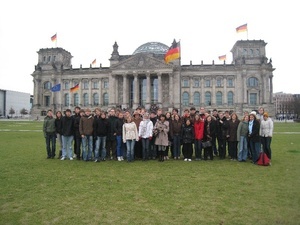 The workshops had following topics: German history, cooking German meals, international sports and making a movie. In the evening the group had the opportunity to see the musical "Chess".